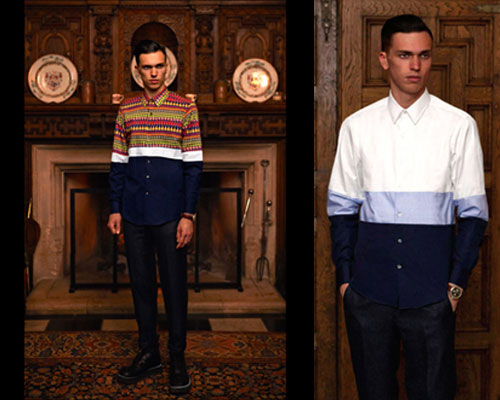 British tailoring tradition and English anarchy are the two basic elements of Casely-Hayford‘s philosophy. 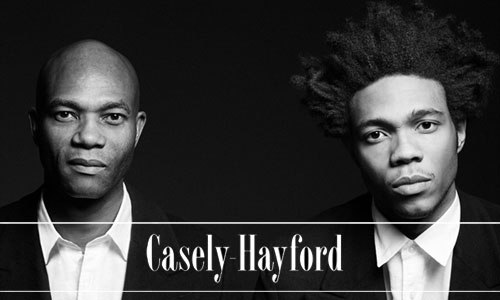 The brand was founded in 2008 from the Londoner Joe Casely-Hayford and his son Charlie. 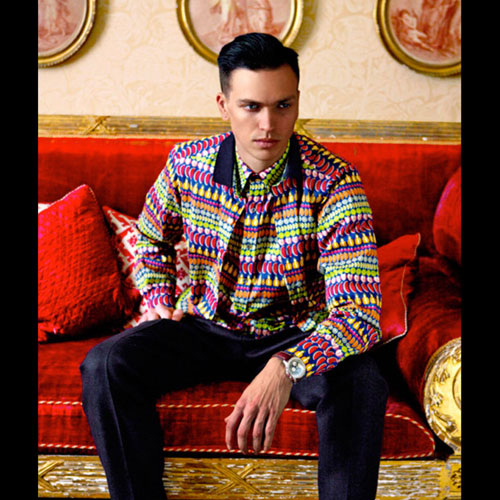 Both born under the sign of Gemini, they also share passion for men’s style, tailoring and craftsmanship. The long career of Joe starts at the Saint Martin’s School of Art and is fullfilled of interesting collaborations with bands like The Clash and U2, with Topshop in 1993, with Gieves & Hawks as creative director, and with magazines such as The Face and ID as journalist; last but not least he has been ordered Officer of the Order of the British Empire for Fashion in 2007. This “father & son” collaboration comes with Charlie’s 22nd birthday – after he has been attending the University between Florence and London and he spent the adolescence in the studio of his father. 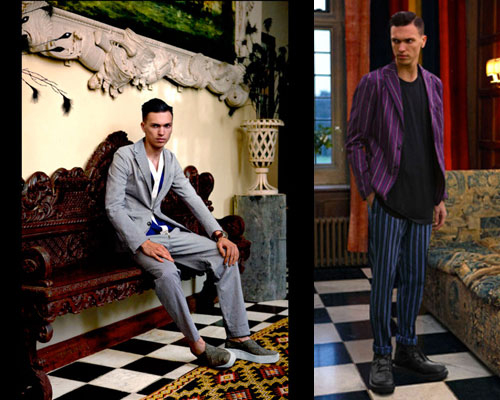 With the desire to create a new identity, the stylistic dictates of the traditional British tailoring and those of fresh English irreverence become the basics to represent a modern man, an anarchist not without rules, but rather independent and self-confident. Casely-Hayford’s innovation blends with the tradition and becomes a unique expression of spontaneous liberation from conformity. 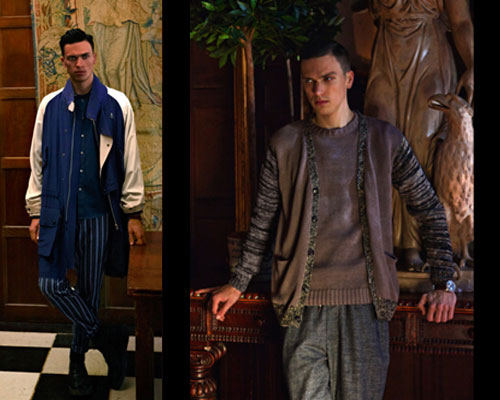 The SS2013 collection represents perfectly their philosophy under the title Phantasy in Tokyo. Inspired by the culture of the 90’s and by the rave scene, the collection finds its roots in the uninhibited socialization – a symbol of contrast with the Tatcherism, the paradigm of the neo-liberal deregulation promoted by Margaret Thatcher between the 70s and the 90s – and merges with the stylistically subdued elegance of Japanese culture. It is a stylistic “flirt” between a vibrating palette of colour and the deep intensity of the Japanese’s indigo. The colorful pattern with folk influences comes together to simple elegance, creating a contemporary sportswear. The silks enrich the blousons, the knitwear’s primary colours blend perfectly with the modern city’s bright and concrete ones. The sportswear cuts join sartorial details, leather trims and comfortable softness. The regular lines overlap with brightly coloured fruits and brocade patterns; blazers are opposed to unstructured biker jackets in textured poplin; the dress is light, with slouchy trousers stopped at the waist by a drawstring.